The Appassimento of the grapes is a unique and particular technique of the Valpolicella Classica, which has always characterized the wines production for this area. It was a practice already known at the Roman time and it has been perfected over the centuries allowing the production of our great wines like Raffaello, Amarone, Recioto, Rita and Passito Bianco. 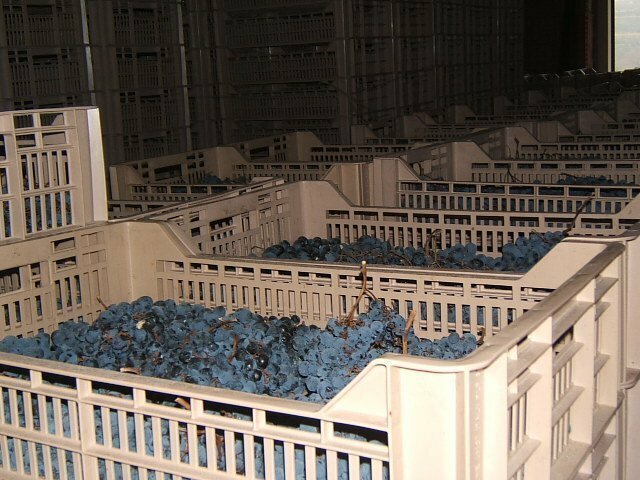 The Appassimento is a very critical and delicate process that requires a lot of experience in the vineyard, during the harvest and then in the fruttaio. 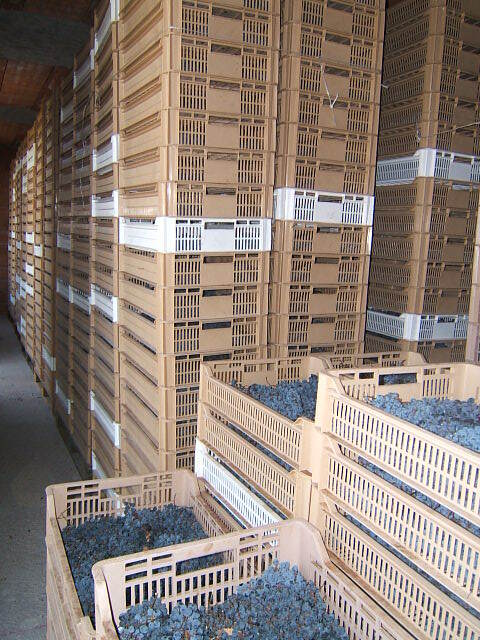 The grapes, healthy and perfectly ripe, are manually selected in small boxes in september. Only the beste bunches are choosen, with the skins not too close to each together, so that they let the air circulate. 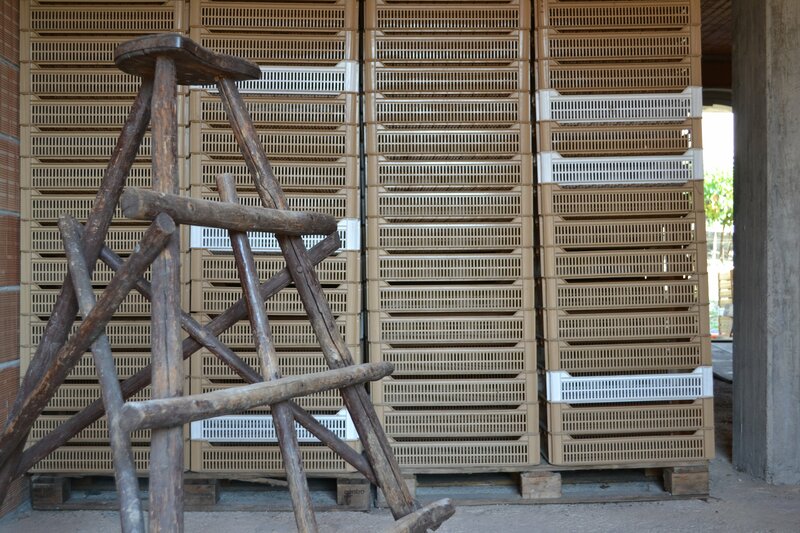 The boxes are stored in the fruttaio, a large local area above the cellar and they are periodically checked so that the drying takes place perfectly. This year we started the harvest at the beginning of September, the grapes are now still raising in the fruttaio, but it is not yet time for crushing. But why we wait? Let’s see what happens during the Appassimento. The drying process leads to a high concentration of the juice inside the berries, so the wine will be more body and structured. During this long period, changes in physical, chemical and metabolic nature are observed, depending on various factors. The detachment from the mother plant, in fact, in addition to causing the concentration of the cellular juices, determines a series of chemical-physical modifications of the grapes that will then be transferred to the organoleptic characteristics of the wine. During the Appassimento period reactions and processes that affect the entire cellular biochemistry and in particular the relationship between sugars, the content of organic acids, the metabolism of the polyphenols, the transformation of the framework of the volatile substances responsible for the primary aroma, the change in the composition of the constituents of the cell skins, the alteration of the permeability of the membranes and the consequent improvement of the extractability of some components from the tissues. The grape, once harvested, to limit the loss of water is encouraged to produce special molecules, such as glycerol, capable of holding it. Let’s look at the three main effects of the Appassimento. However, the metabolism of the berry in this phase is very different from that which it had before its detachment from the plant and this is due both to the absence of water flows, nutrients and energy coming from the plant, and to the environmental conditions of the post-period. collection. The main phenomenon that occurs during drying is the decrease in volume and cellular turgor caused by the loss of water. The most marked effect occurs on the most important class of soluble compounds contained in the grape, or sugars. Their increase is mainly due to a concentration effect, during the phase of withering there is in fact no synthesis phenomenon. The glucose / fructose ratio varies during drying because the berries go from an aerobic to an anaerobic metabolism which induces an increase in glycolysis and therefore a higher consumption of the preferably used substrate, namely glucose. Organic acidity, as for sugars, is not only influenced by the concentrative aspect, but both malic acid and tartaric are affected by metabolic processes (eg respiration) and precipitation (eg salification). Considering that the relationship between tartaric acid and malic acid increases during the raising, it is hypothesizable that the magnitude of the malic acid metabolism is higher than the concentration effect caused by transpiration. The pH inside the grape increases, because the malic acid, one of the most important acids of the grape, is breathed by the cells to obtain energy. Tartaric acid, one of the main components of wine acidity, is instead concentrated, because the plant has no enzymes capable of metabolizing it. In addition to the primary metabolism compounds, secondary metabolites present in the different parts of the berry, mainly in the peel, in defining some qualitative and organoleptic aspects of the wines are very important. As metabolically active, the berry reacts to endogenous and exogenous stresses such as dehydration. In response to water stress, in the first stages of drying, an accumulation of newly synthesized polyphenols is recorded. In a second phase an oxidative process of the polyphenols occurs, leading to their decrease and this occurs when the cell walls lose their functionality and the cells are no longer metabolically active. Hydroxycinnamic acids linked to tartaric acid are the phenolic compounds of the peel most affected by oxidation phenomena during post-harvest dehydration. The rate of decomposition of malvidin and other anthocyanins in the skins has instead been found to be proportional to the duration and temperature (from 24 to 40 ° C) of conservation. Another important phenomenon that can occur during the drying process is the increase of trans-resveratrol in the skin, concomitant with the induction of the expression of the coding gene for stilbenesintetasi (STS). This increase was found by associating the increase in STS transcripts with the activation of reactions to an abiotic (dehydration) and / or biotic stress (possible attack of pathogens during the drying phase). The expression of this gene and the consequent synthesis of trans-resveratrol is induced by slow and natural fading without forcing practices, which make it reach a peak in the accumulation of this substance 74 days after harvest. Both low and high drying temperatures do not induce any increase in STS transcription; on the contrary, a brief thermal shock of 36 hours in the initial drying phases leads to a greater synthesis of trans-resverartol 60 days after harvesting. To obtain structured wines, important, with strong and identifying aromas we have to wait and we will go to press the grapes probably towards the end of January, but it will not be our choice: depending on the weather conditions we will wait or anticipate, just because working in a natural way it is nature that decides when it is now! Now you are wellcome to see the grapes in Appassimento!